With it, children can learn with fun. It can help develop baby's potential intellegence and cultivate children's creativity and imagination. Fancy Imaginations - 40pcs/Set, 5 of each color. Spell out different combinations such as mountain, pistol, robot, airplane etc,which brings changing and endless joy. Beautiful colors - Different colors in each block. Easily attract kids' attention.Help children to identify and know more colors. 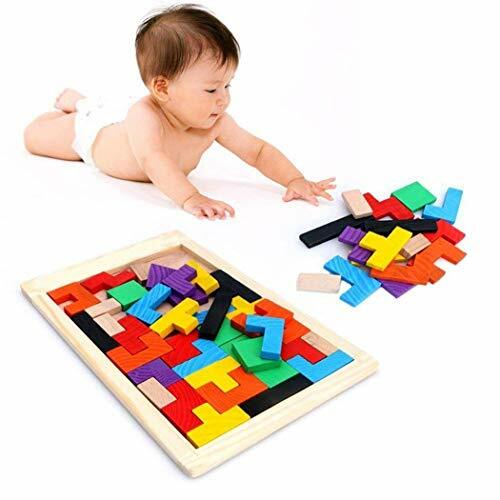 Educational Toy - Get the blocks all back together on the board with no spaces and pose a variety of graphics. Good alternative to computer games.Enhance the space imagination of children. Great gift - For Birthdays,Christmas Day etc. Enhance the feelings between children and family. Improve children's memory.Good for students,children, even adults. If you have any questions about this product by Kizaen, contact us by completing and submitting the form below. If you are looking for a specif part number, please include it with your message.